It's time to coin a new term. Definition: the quality or state of being inspired by the ingenious and/or incredibly creative use of Shimmerz paints. That's right... Niki Estes' absolutely inspired use of Shimmerz to paint Prima flowers is ingenious and therefore Shimmzpired! You need to take a look at this awesome card. That flower's glitz takes that card to a whole new place, doesn't it? I decided to see what would happen with printed Primas. Would the printed paper flowers be colorfast? I tried several and had beautiful results. The flower on the left was painted with Angel Wings Shimmerz and using a regular paintbrush. In addition to the gorgeous look, the flower stayed pliable and kept its paper qualities. It wasn't any thicker or stiffer. It just looked like it had been dusted with the finest little bits of diamonds. I really liked how the Angel Wings was nice and sheer, allowing for the detail of the flower's pattern to shine through. 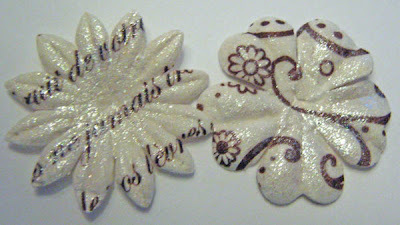 This example is of cream flowers with chocolate brown patterns. Hope this Shimmzpires you to paint many more fun things!! And now for the blog candy! We're getting ready to launch three new LIMITED EDITION COLORS for the fall. They'll debut on Friday morning with some amazing projects from our designers as well as a special guest designer that'll be joining us. To celebrate, we want to give away a set of our new colors to a lucky commenter on today's post via a random drawing. We want to hear about your favorite memories or thoughts of fall colors. (Mine is of the amazing translucent gold color of Aspen leaves. So beautiful!) One comment per person accepted through 11:59 p.m. Mountain Time on August 14th. Then check back on Friday morning to see the amazing new colors and see if you won! ohhh I love how these look on flowers! Will need to be trying this! What a great idea. Can't wait to try it! So pretty on the flowers!! I can't wait to go and try that out. What a fabulous idea! As for Fall colors....I love the reed cranberry color that Sugar Maple trees can turn if the weather is right. The Angel Wings Shimmerz is the only one I have and I will be trying that today! My favorite memory is going to the NC mountains in the Fall when I was a child. I am a native Floridian and trees just don't change color down there, but the mountains were so beautiful! Now we live up here and get to enjoy it every year. That is an amazing idea!! I can't wait to get some Shimmerz!!! I got to try them and they are 'da-bomb! This product is fabulous! Love all the colors. Speaking of colors, growing up in the Northeast my favorite time of the year is the fall. I love driving around & seeing the trees in all thier color splendor! Plus I love sweaters in those gorgeous fall colors! I love the reds, oranges, and browns of fall! I have lived in the northeast (US) my whole life and love this time of year. I love the crisp air and drinking apple cider. These paints will add such a beautiful touch to Halloween, Fall, and Thanksgiving cards! I can wait to get my hands on some shimmerz. I'm bummed that I can't go out and buy up a handful. Must be patient. I don't know if I can just pick one fall color. Fall is one of my favorite times of the year. I love the gold, orange and red colors that come alive during the fall. As for my favorite fall colors....I love them all! I just love fall! I think of the pretty oranges and rusts and reds of the leaves as they are changing. I love to drive through the country and look at all the colors and changes that are happening! Beautiful!! I love how those flowers look!! This takes flower embellishments to a whole different level. I love the shimmer look! My favorite thing about fall colors is the way you can have one leaf that is green, yellow, orange, and red at the same time. I'm not really an orange person, but I do love the fall colors. That's the time of year when orange is the most gorgeous. Thanks for sharing. My favorite fall memory is apples! I grew up in NW PA, and we always went to pick apples, plus had apple orchards nearby. I always think of fall and the gorgeous colors of apples and apple cider! 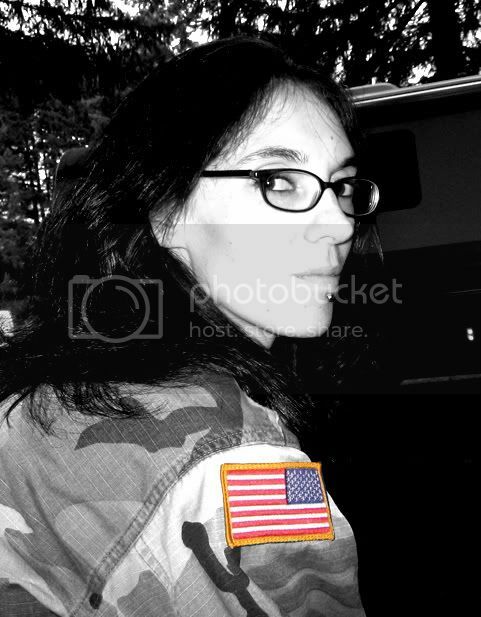 I LOVE fall, love the cool crispness of everything! I love going apple picking. My husband and I first went apple picking when we were dating. Twenty-two years later, we still take our kids on an outing to an apple orchard! Gorgeous!! I have to try this NOW. I love fall colors. I live in Wisconsin and taking a nice drive through the countryside when the leaves start turning is so scenic. I love the reds and dark oranges the best. That is so pretty. I love it!! My favorite fall memories are of hiking in the woods around our house when I was growing up. That and my birthday is in October!! Can't wait to see the new colors! Fabulous look on the primas! Looks grrrrrreat!!!! My favorite thoughts about fall colors would have to be the gorgeous trees we have in PA in the fall. What a wonderful place to live! The Shimmerz look wonderful! I'm sure the fall colors will be gorgeous! I'm lovin' some shimmer! (can you use that as a noun? Yes, I can!!) :-) Fall is the BEST time of year. The cooler weather, here in NC, along with the leaves and pumpkins....ooh I wish it was October! 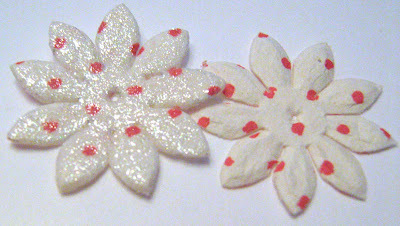 Wow, Shimmerz looks awesome on the Prima flowers! Going to have to try that! My favorite fall colours? That would be here in Nova Scotia in the fall, down in the Valley the leaves turning colours is AMAZING! The bright oranges, yellows and reds!! I think the red/burgundy colour is my very favorite though! Wow, these paints look so cool on the Primas! My favorite fall memory is pumpkin picking with the family. Thanks for the opportunity to win! That looks AWESOME on flowers! What a great idea! I just got some Shimmerz, and have yet to play with it b/c of company, and busy summer days(and the Olympics..heehee). I love the fall....I used to live in Pennsylvania, and I miss all the spectacular colors...but I still love fall! i am really curious about this product. I've been resisting up to now. If I could win this set, I bet I'd have to have them all in very little time. For me, fall is always the reds, oranges and yellows of the hard maple trees in my yard ... thanks for the chance to win. I love the fall colors. I especially love (on trees) where the orange meets the red and it gives it a burgendy color. I love driving around during this time of the year just to look at how beautiful the fall colors are. Those are really gorgeous paints!! My favorite memory of fall colors is a traditional fall family hike we took to see the trees when I was a kid. Oh wow...these are amazing! I have always loved the beautiful colors of fall leaves...gold, rusty orange, greens and deep reds. How pretty! I love anything sparkly. When I think of Fall I think of a painting I did when I was a teenager of our front yard. It was full of fall colors, the most vibrant I 've ever seen. WoWzA, the Shimmerz looks amazing on the flowers! Unbelievable! The best thing about Fall in So Florida is that it cools off ... no leaves fall, though. I miss the colors of Fall, but not raking! Oh, I love the shimmer...ya gotta love glitz and glim! I also like that the item still stays pliable after putting on the Shimmerz Paint. Fall...well, I love the crispness of the cool air and the pungent smell of the colorful fallen leaves. It is my favorite time of the year. One of my favorite color memories of fall is going to the pumpkin patch! I love when it's orange as far as the eye can see! And after you pick your pumpkin, you can go up front, sit on the golden hay bales, and look at the colorful Indian corn. Beautiful!! The flowers look so fantastic. I am from the Maritimes in Canada and fall is the best time of the year. Nothing compares to the wonderful arrangement of colors nature provides us with. Every tree in every shade of red, gold and orange...God`s Jewels show beautifully. Come visit to really understand our beautiful trees. My fave fall memories would be playing with the heaps on reddish-brown leaves :P Fun times! Thanks! Love that shimmer - will be WOW on angel/butterfly wings! I'm a transplanted 'NorEaster living in Michigan and have always loved Spring, Summer and Fall. Thinking of Fall brings to mind the trees turning color ... taking walks, swishing thru the fallen leaves. wow, love that look on the flowers! Can't wait to see the fall colors! Gorgeous! That looks totally awesome on the flowers! I love the mixture of colors that come out in the fall...the gorgeous reds, oranges and yellows! The AngelWings Shimmerz Paint on the flowers makes them pop out at you,stunning. Must try these paints as soon as I can get my hands on them. Fall is one of my favourite times of the year, when the air is as crisp as the apples that you can crunch your teeth into. With all the colors, rust, oranges, yellows and the dappled sunshine playing off the trees, and the fresh apple cider with warm doughnuts.... this is the best time of the year. Fall '67 chasing firey storm in Cessna...059 through a double rainbow skirting a purple-burgundy tree grove amid evergreens' remaining sparkling raindroplets East along the Rocky Mountain face, is my fav color. Shimmerz! Elegance! Bring 'em on! Can't wait to try this on my Primas! I just received my first order of Shimmerz from allthatscraps - will try it out soon! My favorite fall inspiration is the changing of the leaves along the Columbia River in Eastern Washington. My family and I live on the west side of the Cascade Mountains, and we love to drive over Stevens Pass, along the Columbia River, where the fall leaves are absolutely GORGEOUS! The reds, oranges, greens and browns just make me feel so in touch with nature . . . it really is breathtaking! Wow, those flowers turned out so nice. I love every "bling" thing! I would know it was fall back home when the fog built up so thick in Hagwilget Canyon that you felt like you were in another world. You could see the red and yellow poplar leaves around the edges of the canyon but the rest would be vague shapes in the fog. I don't even know what it is called, but it's a fuzzy plant or flower that is a deep burgundy red/purple. They grow it at the pumpkin patch ever year, and it looks wonderful against the backdrop of corn stalks and sunflowers. I, too, love fall and it's colors. I have so many "fall" memories, but feel especially lucky to have lived in several places in which fall is different, and have had the opportunity to experience those differences! From New England (spectacular) to Virginia (ahh! the Shenendoah Mountains), and Utah/Idaho (no place like home!) each "fall" has been great! Those flowers look terrific! I can just imagine how great fall colors would look. My parents had a cabin on medium sized lake and I loved to photograph the fall colors with the reflections on the water. I used those pictures on note cards. How beautiful! My favorite fall colors are the reddish leaves and the orange "fairy tale" pumpkins--the ones that look like Cinderella's carriage. I love all of the fall colors of the trees. We use to pile the leaves high and jump in them when we were children. We always knew that when the trees start turning, fall was on it's way. Hi, we do not have 4 seasons in my country here. But I still can remember on of my day in travel to China ~ SiChuan Province, i love the green-orangegies leaves hang on the trees. My whole house is in fall colors, burnt orange, rusty reds, olive green, golden yellows, mochas, and chocolates. My home always feels inviting, slightly cool yet just right in the warmth dept. Looking out at the trees changing and slightly waving in the breeze beckons you outside to enjoy the fall weather. That cool yet slightly warm breeze. The flowers are wonderful. Must have some of this, but which colors to choose?? Glad you're back. My favorite fall color memory is from a hike, up a really big mountain, in Utah. The leaves were awesome. Got lots of great pictures. I would love some Shimmerz please.